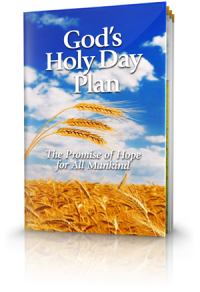 God's Holy Days, as outlined in Leviticus 23 in the Old Testament, have rich meaning reminding us each of the major steps in God's great plan to save all of mankind and bring us into His great Family as co-heirs of the universe (Hebrews 2:8-10). As the Passover and Unleavened Bread festivals draw near it is good to reflect on the meaning of these two feasts. 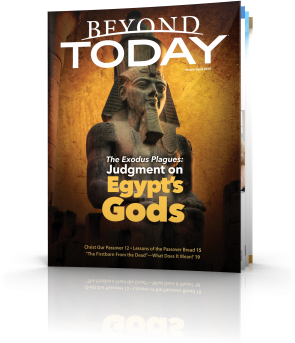 Both feasts celebrated great events in the history of Israel as God brought them out of physical captivity in Egypt. 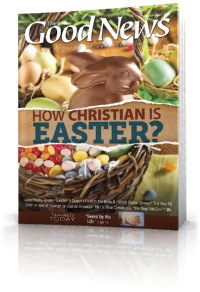 They also celebrate great events in God's plan to redeem us from the captivity of sin. 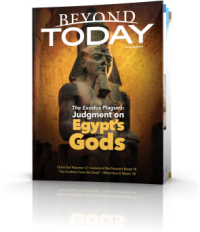 That first Passover in Egypt was a symbolic type of our sins being passed over and being spared from the eternal penalty of sin - death (Romans 6:23). It pictured, in advance, the great sacrifice of Jesus Christ for the sins of all mankind. He is called "our Passover" lamb in 1 Corinthians 5:7 and 1 Peter 1:18-19. 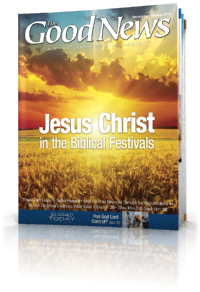 John the Baptist upon seeing Jesus approach him said: "Behold! The Lamb of God who takes away the sin of the world!" (John 1:29). Jesus gave new symbols – bread and wine – for the Passover in the New Testament (1 Corinthians 11:23-29) replacing the slaying of a lamb. In Old Testament times, the Israelites were told to pick out a lamb on the 10th day and hold it for four days (Exodus 12:3). During those four days it was very easy to become attached to it with it wandering around in their household. 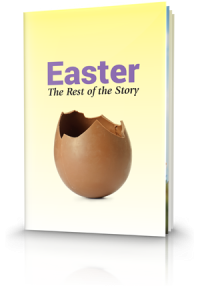 To have to kill it after those four days would have been a deeply emotional experience that would have give them a feel of what it was like for God to give up His only Son (John 3:16) in order to pass over our sins. 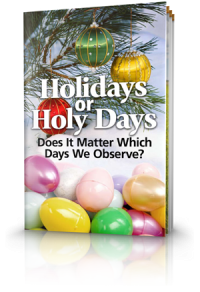 We are told not to take the Passover unworthily but to examine ourselves beforehand (1 Cor. 11:27-28) and make sure we are doing our best to follow God's ways. A great price was paid to make forgiveness available to us and God does not want us to take it lightly. In Israel no uncircumcised person was to take the Passover (Exodus 12:48). Circumcision, one of the original signs of God's covenant people (Genesis 17:9-11), has been replaced with baptism (Colossians 2:11-12) and so only those who have been baptized today partake in the annual Passover service. The footwashing ceremony (John 13:4-15) that takes place before the bread and wine is taken depicts the attitude of humility and service to others that Christ wants all of us to have. · The literal body of Christ which was broken for us (Luke 22:19). · The Word of God which is the bread of life (Matthew 4:4, John 6:48). We need to use God's Word, the Bible, to grow in grace and knowledge and be more like God (2 Peter 3:18). · The church - "We, being many, are one bread and one body, for we all partake of that one bread" (1 Corinthians 10:17). We should be thankful for the body of the church - our brethren with whom we are been called together. We should have a renewed sense of dedication to serve our brethren and strive to resolve any differences we might have and be unified with one another in the church like never before. By symbolically ingesting Christ we focus our minds on submitting to Him and allowing Him to transform us to be more like Him (Galatians. 2:20). It takes self-discipline to submit to God's will and not live our own way, especially when our will clashes with God's will. The mind or service attitude of Christ (Philippians 2:5-8) means showing the same love for others that Christ showed when He was here on earth. When I think of the fulfilled prophecy of Jesus' flesh being torn but no one of His bones being broken (John 19:33-36), not unlike the Passover lamb being roasted completely whole with no bones being broken (Exodus 12:43-46), I am reminded that no matter what horrific things were thrown at Jesus during His crucifixion, His inner strength of character, empowered by God's spirit, was not broken through the ordeal that He went through. He did not compromise with sin through all that He went through (1 Peter 2:21-23). By doing so He left a very powerful example for us to follow in not compromising with God's way of life as we go through trials. The wine pictures Christ's shed blood (Luke 22:20) to cover all our horrible past sins which gives us a wonderful fresh start. We are then forgiven of our past sins, though mindful we have to change our life from here on. We are called to be living sacrifices (Romans 12:1-2) poured out like a drink offering in service and sacrifice (Philippians 2:17) for God and others as Christ has done for us. 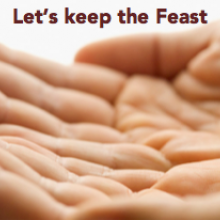 Immediately following the Passover, we celebrate the Feast of Unleavened Bread for seven days (Exodus 12:16-20) where we abstain from eating any bread with leaven (yeast) but instead eat unleavened bread during this period. The Feast of Unleavened Bread anciently symbolized the great Exodus of the Israelites and their deliverance by God out of slavery in Egypt (Exodus 12:17). For those in the body of Christ, it pictures putting sin out of our lives as well as developing the character of God. In 1 Corinthians 5:7-8 Paul wrote: "For indeed Christ, our Passover, was sacrificed for us. Therefore let us keep the feast, not with old leaven, nor with the leaven of malice and wickedness, but with the unleavened bread of sincerity and truth". 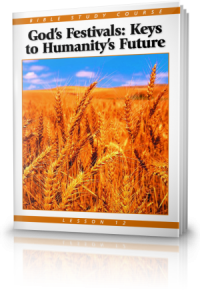 Leaven or yeast is what is put into bread to make it rise. Leaven is compared to sin (1 Corinthians 5:8) because just as leaven puffs up bread so does sin puff us up spiritually. God does not want us puffed up with our own importance but humble and willing to serve others. We have to remember that it is not called the Feast of not eating Leavened Bread but the Feast of Unleavened Bread. Not only do we need to put sin out of our lives but we also have to put on God's character. We need to develop all of the fruits of God's spirit (Galatians 5:22-23). Herbert W. Armstrong often referred to the two broad ways of life as the way of GIVE and the way of GET. God's way is the way of GIVING! Some christians can often live their lives as if avoiding doing certain wrong things is all that it means to be a christian, not realizing that God's way of life is far more than that! God's way is primarily an OUTGOING way of life - a life of service to others. It's not just about avoiding sins – it's very much about doing good and enriching the lives of other people.